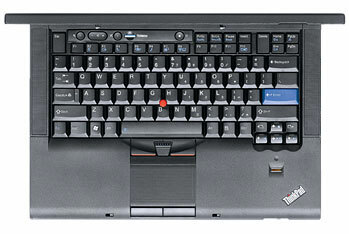 Lenovo T520 Designed for portability and power. Round the Clock Performance Unplugged. 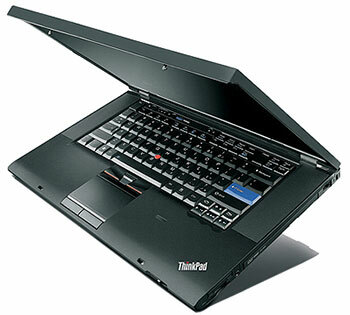 Highly mobile, ThinkPad® T Series can stay unplugged up to 30 hours and still deliver the performance you need! 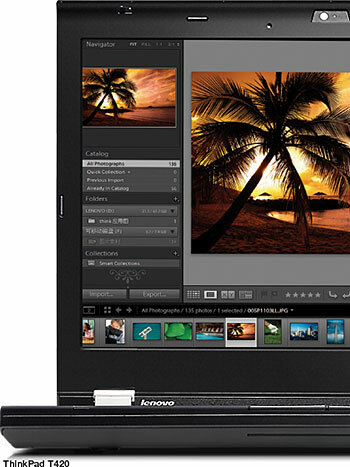 Lenovo’s Power Manager, less power-hungry displays, and the latest battery technology let you work wherever, whenever. Lenovo Battery Stretch lets you temporarily extend battery life. In fact, your T Series models will retain a charge for more than 30 days when in standby mode. These portable powerhouses feature high-end processors and graphics for lightning-fast performance and durable, reliable data storage. Up to Windows® 7 Professional operating system. For a difference you can see and feel in multitasking or multimedia, our 2012 models are powered by up to the visibly smart 3rd generation Intel® Core™ i7 processor, with top-of-the line performance for your most demanding tasks. Our exclusive technology, Lenovo Enhanced Experience 3 for Windows® 7delivers boot times 40% faster than systems without, as well as robust security features and superior web conferencing technology. USB 3.0 ports feature up to 10 times faster file transfer time — especially useful when copying large media files. Quick log-in and authentication with the swipe of your finger using the optional industry-leading ThinkPad fingerprint reader. 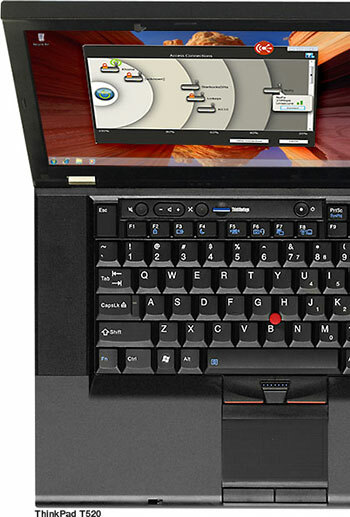 Navigate using the famous little red TrackPoint® device or the easy-to-use multitouch touchpad with simple one- and two-finger zooming, scrolling, and rotating. T Series laptops give you superior graphics performance and immersive surround sound audio experience. Intel® HD integrated graphics provides 100% better graphic performance than previous generations. Intense graphics and extended battery life. NVIDIA® Optimus™ technology automatically switches to the built-in NVIDIA graphics card only when you need powerful graphics performance. Whether you’re putting together a visually intensive presentation on a long-haul flight, heading up three floors to share the latest multimedia design, or you’re in a meeting that runs way over schedule, you know you’ll get the most out of your battery life. Support up to four monitors with NVIDIA® Optimus™ technology. Dolby® Home Theater® with virtual surround sound technology. Dolby® Advanced Audio™ v2 increases audio clarity for VOIP applications, maximizes volume output without distortion, and improves dialogue clarity when watching videos. 16:9 aspect ratio HD LCD format enhances your viewing experience. 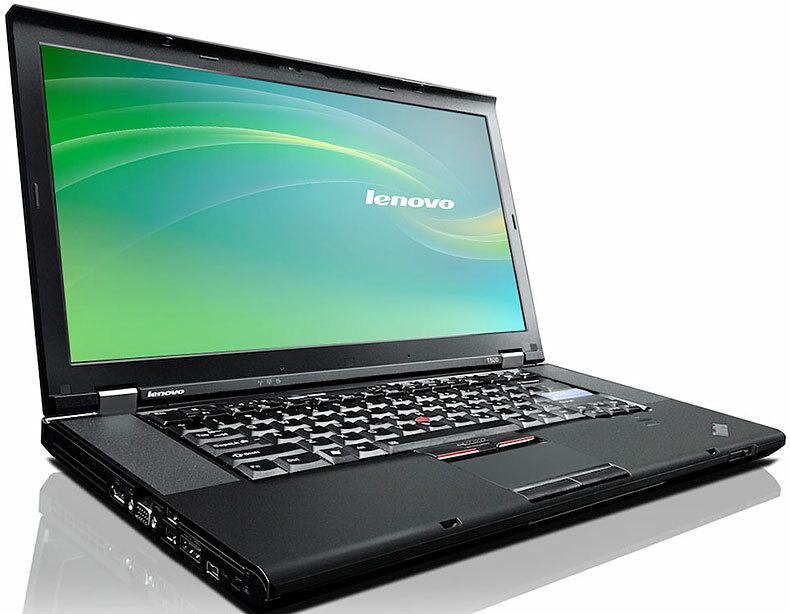 Plus, the T520 features an optional high-end resolution FHD option with 95% color gamut for true color. Mini DisplayPort video connector lets you attach a high-resolution digital display to your notebook. Hook up everything from monitors to TVs to projectors and it even supports audio. T Series includes superior VoIP experience with HD, HD+, and FHD display options, and dual-array HD microphones for advanced noise and echo cancellation. Plus, the T520 is Polycom® ready and the 720p HD webcam includes face tracking for most excellent video conferencing. Convenient one-touch access with microphone, speaker, and camera mute buttons allow for quick and easy control. T Series laptops are all business. Baked, battered, blistered, and blown with sand, ThinkPad notebooks are designed to pass eight, rugged military-spec tests against extreme environmental variables, including temperature, pressure, dust, humidity, and vibration testing. T Series laptops are more than tough enough to endure the rigors of business travel. Carbon fiber reinforcement on 2012 models provides strength and stiffness, while reducing weight and allowing for thinner designs and the best blend of durability and mobility. The Lenovo Solution Center, which is a hardware diagnostic tool that monitors total system health and allows quick and convenient access to frequently-used system management tools, including backup and restore, antivirus and firewall settings, system/software updates, internet connections, and service and support.